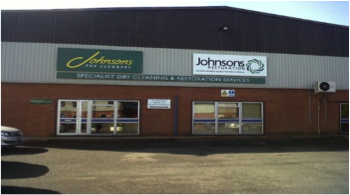 GreenEarth® is delighted to announce that we will be hosting Technical Visits with our partners Johnson Cleaners at their Specialist Centre in Rugby, Warwickshire. PLEASE NOTE, the visits will have to be limited to 8 people, so book your space quickly to avoid disappointment. It’s a 5-minute cab ride from Rugby train station and about 6 minutes from M1 Junction 1.
Who is it for? The great thing about this event is that whether previous attendees are recent graduates or whether they’ve been in the business for 10+ years, they usually come away wowed and amazed by what they experience on the day! And because GreenEarth® are hosting the event, the day is FREE to all of our guests. What you will learn… You will get an insight into the dry-cleaning industry from the best known dry cleaner in the UK. You get an understanding of the industry history and get to hear about the latest technologies, as well as seeing how their specialist centre operates; whether it’s seeing what sleeps amongst the feathers of your pillow or how leather items can be restored. The pillow room …………… you will never forget this one!! Please let us know as quickly as possible if you would like to attend as places are limited. Venue: Johnson Cleaners UK Ltd.
It’s a 5-minute cab ride from Rugby train station and about 6 minutes from M1 Junction.